Below are our current varieties of Potatoes, onions and sweet potatoes. We are constantly researching, developing and growing our range to bring your the best options for every use of our products. 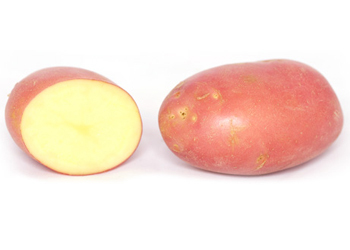 Oval and very uniform shaped potatoes with distinct yellow eyes and an attractive sunrise red skin with yellow flesh. Excellent table quality and taste, with no darkening following cooking, a medium dry matter content makes this an all rounder for usage. Suitable for mashing & baking. Long oval and very uniform shaped potatoes with distinct Blue/Purple skin and an attractive yellow finish. Excellent table quality and floury taste, with no darkening following cooking high dry matter content makes this an all rounder for usage. Suitable for roasting, baking, frying, boiling and mashing, excellent for chips and wedges. Elongated in shape with pale yellow skin with yellow flesh. Excellent for boiling, mashing, salads, roasting. Very good for microwaving. The blushing pink and white skin complements the cream flesh for its smooth, velvety texture. The slender, non traditional shape and colour is the key identifier. Tear Drops are medium waxy, with a firm yet fluffy texture that retains a nice bite and holds up perfectly for roasting. It stands out equally well in salads and scalloped potato dishes. Ideal for microwaving, boiling and baking. Long oval potatoes very regular, shallow eyes with yellow skin and yellow flesh. Smooth clear bright skin. Yellow waxy type potato with firm texture that have a wonderful flavour, a good choice for boiling, steaming or roasting. Developed in Europe especially for salads and gourmet markets. The Nicola is a long – oval shaped medium to large tubers with a yellow skin and yellow flesh. Excellent table quality with a creamy texture. Excellent for boiling, salads hot or cold and mashing. Brown onion is a type of dry onion that has a pure white skin and a sweet, mild white flesh. 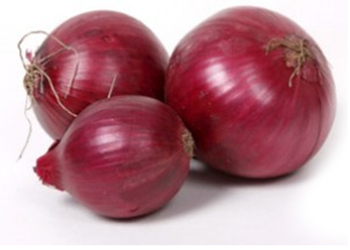 Red onion is a type of sweet onions with purplish red skin and white fleshed tinged with red. Firm, crisp texture; sharp flavour, not too pungent. Light rose or copper skin, dark orange flesh, uniformly shaped. 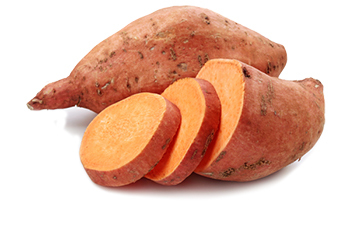 Sweet potatoes are large, starchy, sweet-tasting, tuberous roots and are a root vegetable. Suitable for roasting, baking, frying, boiling, mashing, microwaving, excellent for chips and wedges.